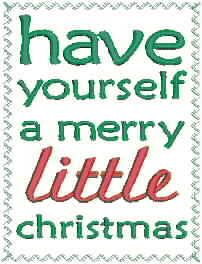 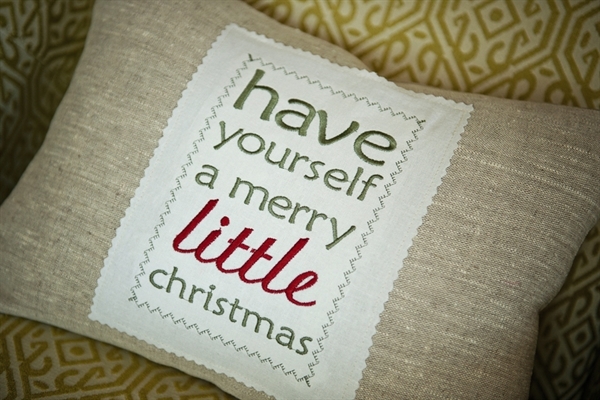 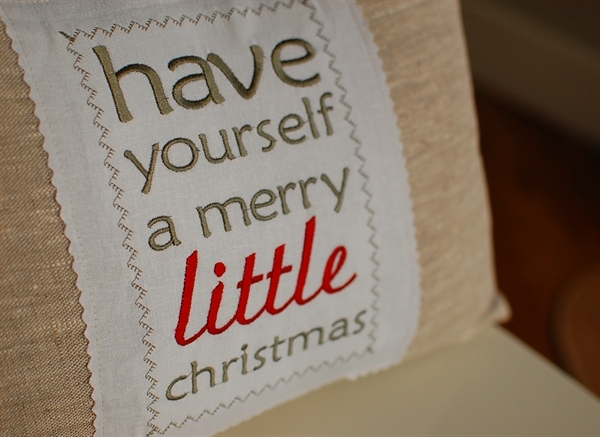 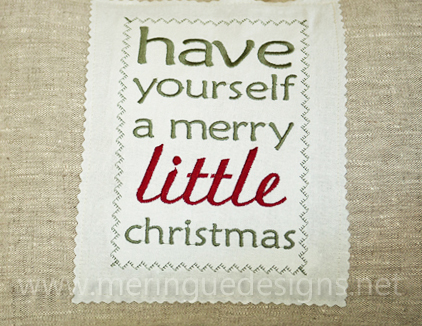 A simple and quick stitch out to celebrate the Christmas season. The stitched border is the last thing sewn and can easily be eliminated if desired. 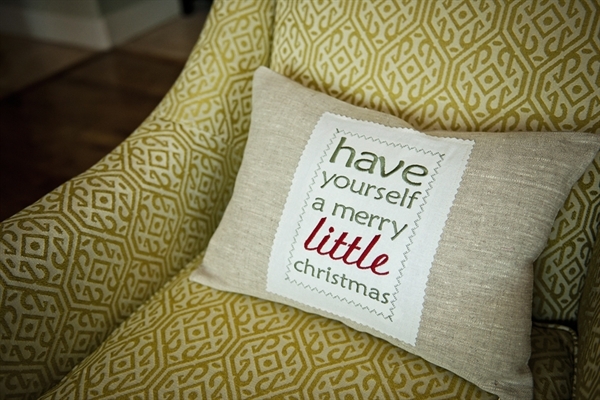 The 5x8 size was used on the 12x16 pillow pictured here.